Moderator Todd McNeel, who is media coordinator for the Boston Lyric Opera, asked the speakers what progress they’d seen in diversity and inclusion in Boston. What organizations are doing good work to improve diversity and inclusion? “ArtsBoston has taken a lead by doing whatever it took to attract Vicky George and to support her vision,” Silva-Collins said. “This can’t be a project, it has to be an organization.” So if George moves on, the work continues, she said. “My frustration is seeing people doing things new that we did 30 years ago but for some reason it didn’t hold,” Silva-Collins said. “The infrastructure for arts organizations of color has been a little difficult to maintain in Boston,” Silva-Collins added. Hires said when the Boston Children’s Chorus was founded in 2003, “in the DNA of the organization was being diverse and welcoming all people and using the arts as a tool. 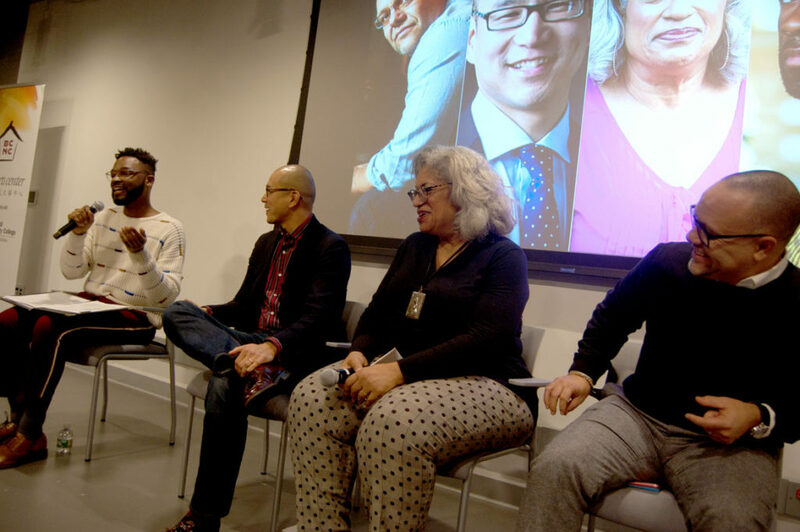 … Very intentional, very top of mind.” But, he noted, “In many cases, arts organizations, they’re coming at it down the road in how to be diverse and how to be inclusive.” Particularly around Boston with anchor organizations that are more than a century old. McNeel asked how can people of color climb the leadership ladder. 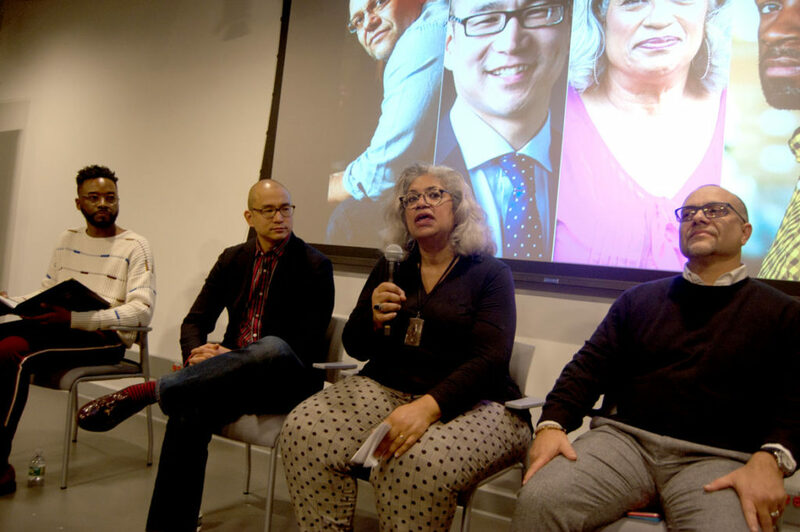 Hires recommended joining the Network for Arts Administrators of Color and finding mentors. Next steps for the city of Boston? Hires called for more flexible hiring criteria. He recounted an anecdote about the Big Sister Association in Boston wanting to increase hiring of people of color but finding that their hiring criteria requiring candidates to have a master’s degree in social work excluded many talented candidates of color.